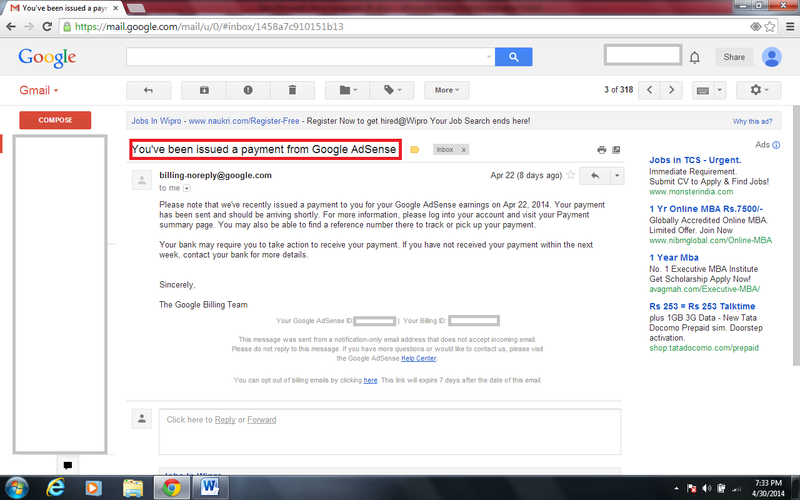 Google recently started Electronic Fund Transfers (EFT) for AdSense publishers in India. 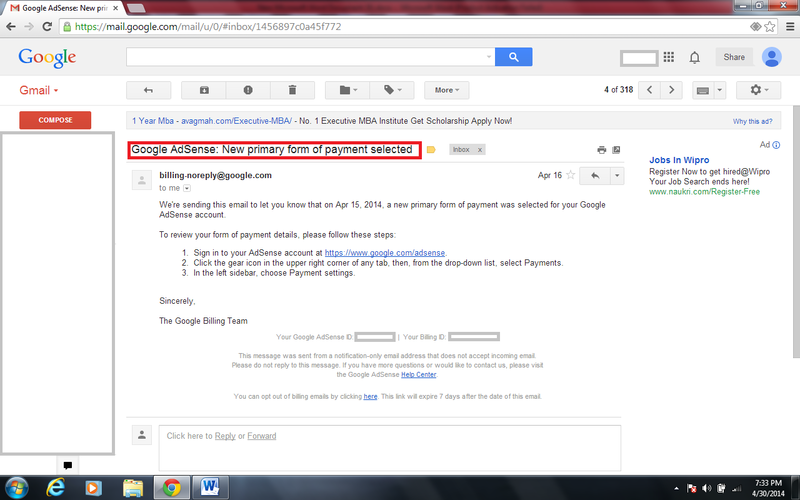 It is very easy and hassle free process of getting payments from Google. I was quite disappointed earlier as I couldn’t get physical cheque twice as once I was out of station even though the courier guy informed about it and other time the post man didn’t inform about the cheque arrival as I gave address where bluedart courier has no service. Google sends cheque through speed post in the places where bluedart courier doesn’t provide service. But with new system for Indian AdSense publishers can easily get their money in the bank accounts directly without any head ache of presenting the cheque for clearance and wait. Also, it is possible to get the payment from Google AdSense even though your bank branch doesn’t have a SWIFT code which is mandatory for foreign currency transfers. 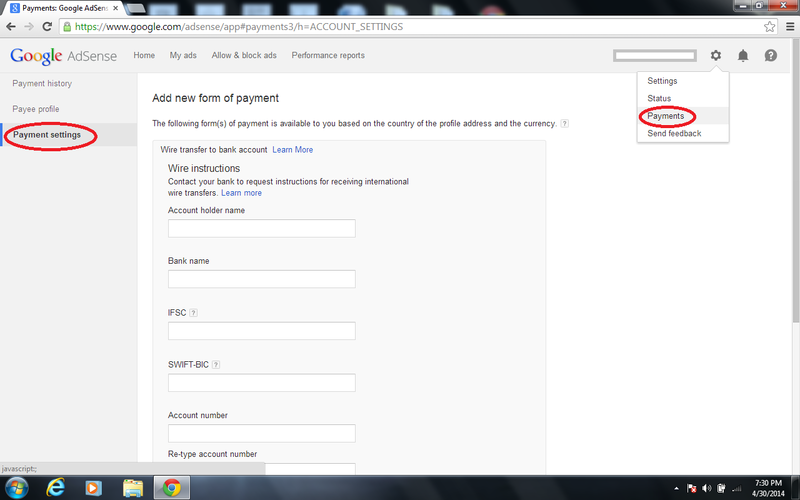 Just follow these steps so that you can get your AdSense account upgraded to the new payment system and get payments easily. AdSense earlier had opened the wire transfer for only few publishers as beta version and now it is available for all publishers. Anyone interested in getting money through EFT can upgrade accounts. 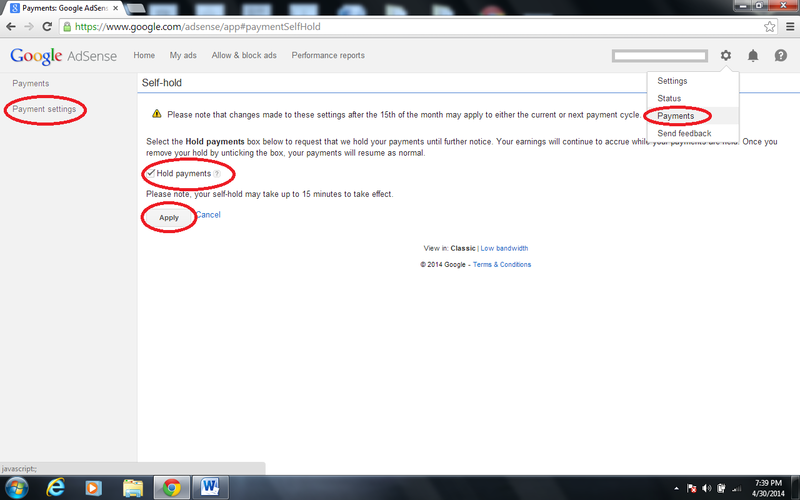 Login to AdSense home page and in payments page select hold payments. You need not inform anyone about this. Your account will be upgraded automatically. 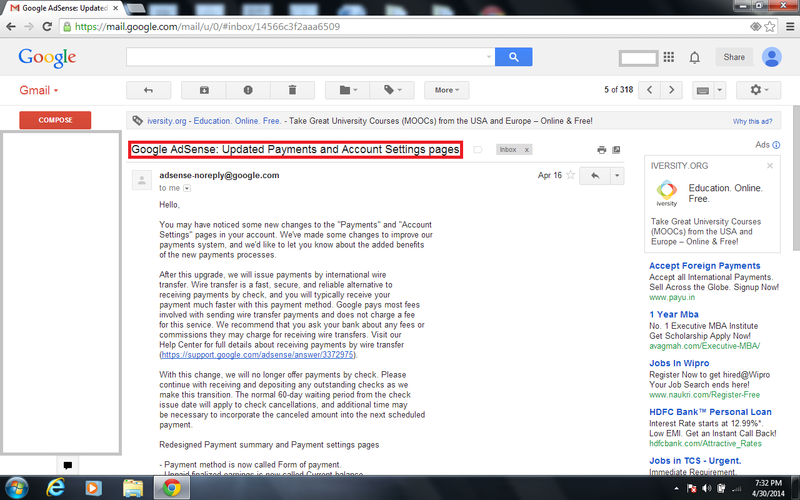 Keep calm and don’t worry till you receive email from AdSense informing you about the account update and new payment system. The schedule of updating accounts in India is not mentioned by Google AdSense and it will be surely upgraded on 16th of any month provided you have put self-hold on your payment any time in between 17th of previous month to 15th of current month. After you receive mail, login to your AdSense account again go to payment and select ‘Add a New form of Payment’, fill your account details, Name, Account Number, Branch IFSC code and SWIFT code. If your bank branch is not having a direct SWIFT code, you can give SWIFT code of any nearby branch or treasury branch having SWIFT code of same bank. You can get assistance from bank staff regarding SWIFT code. No need of adding Intermediate bank details. 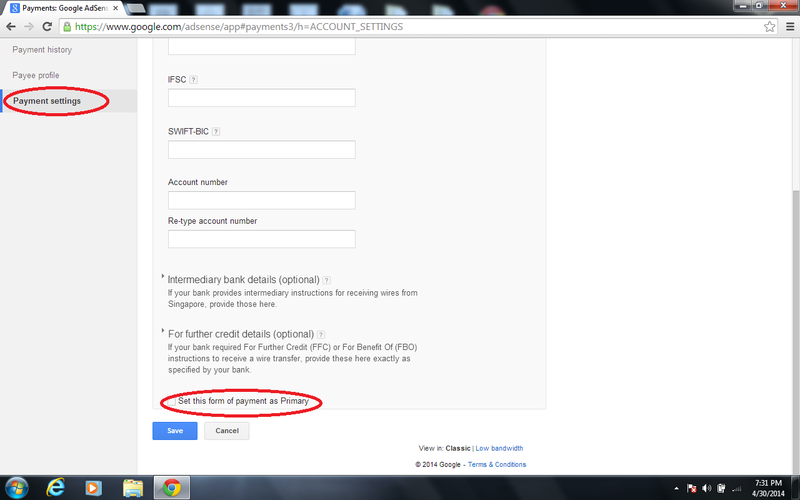 You will get a mail as soon as you save the details of account selecting it as primary form of payment. Once the payments are made you will get a mail and amount will be credited to your bank account within ten working days excluding holidays. If your bank makes you calls regarding the purpose code of the transaction inform that it is ‘P1007’ provided by Reserve Bank of India (RBI) for reporting Forex Transaction receipt purposes. If you want to change the Account details you have provided you can’t do it directly by deleting the existing account details. 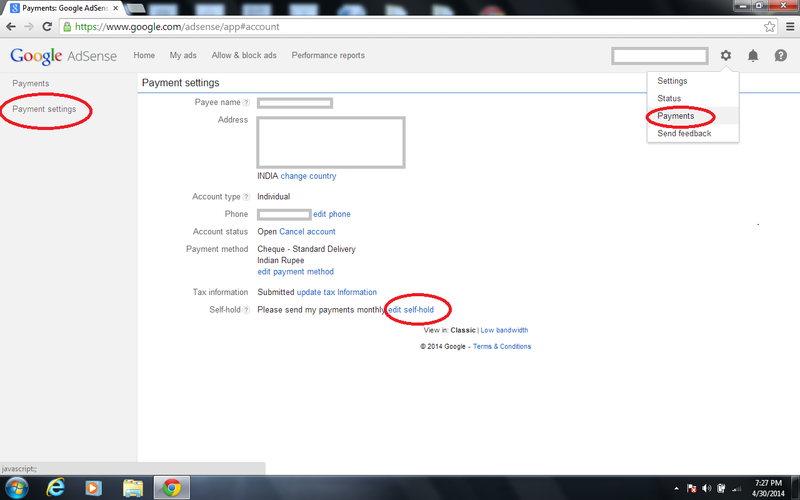 Go to payments, again add a new form of payment and after providing details select it as primary form of payment. Later you can delete the old account details.